Old IT tools built for traditional business models aren't up to the demands of a fast-moving marketplace that demands flexibility. Zuora founder and CEO Tien Tzuo says the time has come for something new, and he says he has the answer. Let me start this by saying I recently became a new dad. As you would expect, my wife and I have been buying a lot of baby supplies: diapers, wipes and formula are the new recurring items on our monthly budget. Having started out buying them all in the old way — simply walking down the street to the corner drug store — we’ve discovered to our surprise and relief that we can subscribe to all three. Through a plan offered by the Web retail giant Amazon, all three items show up at our door on a predetermined schedule. When size one diapers began to seem a little small on our daughter, size two diapers appeared in a shipment a few days later, as if by magic. Actually the "magic" was my wife, who from her phone, easily changed the size of the diapers in our recurring order. Behind the scenes Amazon has been running a carefully choreographed business process designed to meet our needs and surely those of thousands of other families. I don’t know any of the underlying details, but at minimum it had to involve some level of coordination between Amazon and its suppliers, adjustments in pricing models — in the end we pay less for diapers — assumptions for shipping and logistical costs, and probably a score of other factors I can’t think of from the comfort of my armchair. Of course there’s only one Amazon, but it’s a fundamental fact that subscriptions are disrupting numerous areas of the economy. 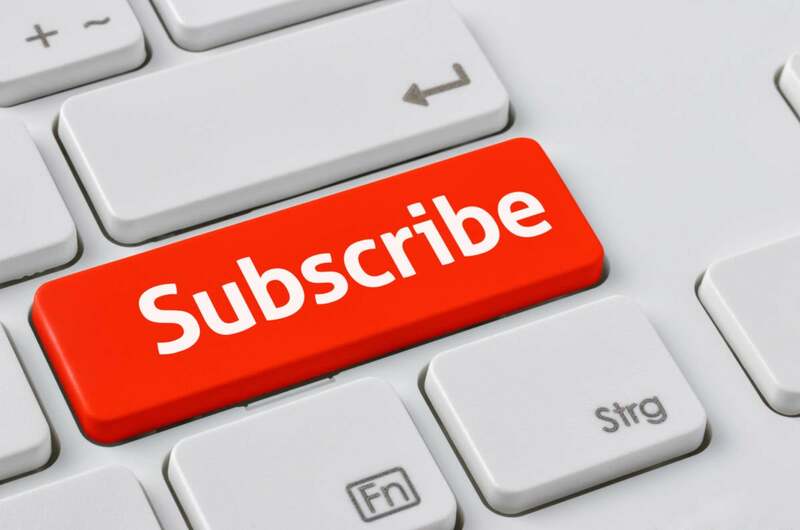 Tien Tzuo, the CEO of Zuora, a cloud software company based in San Mateo, Calif., calls it “the subscription economy.” And he should know a thing or two about it. His 1,000-plus customers use his cloud-based platform to convert their existing businesses — selling all manner of things both tangible and not -- into subscription services. You already knew that business software and digital media are the most common things sold by subscription these days but you can also subscribe to high-fashion dresses, family dinners, cars both sensible and exciting, heavy construction equipment, and even office space these days. Zuora's main business is a SaaS-based subscription platform that handles the heavy lifting of the billion relationship with a customer. It also integrates with existing applications to enable the flexibility needed for a subscription business. Tzuo's fundamental proposition is that practically any business that historically relied on the traditional transaction-based model can rethought and re-engineered with a subscription model. The shift strikes deeply into another core desire that businesses have, which is to create and maintain deep and ongoing relationships with customers to ensure they keep coming back as they needs change over time. However Tzuo argues that there’s an underlying problem that businesses face when they try to do it: All of their existing software applications — especially the Enterprise Resource Planning or ERP apps from the likes of SAP, Oracle and NetSuite — aren’t flexible enough to accommodate the needed changes. "The days of the old-school ERP system are numbered," he said. At a Zuora's Subscribed event in San Francisco this week, Tzuo articulated a vision for for what he calls “the post-ERP world.” Accompanying the vision is new product called Zuora Central that acts as a hub coordinating the entire order-to-cash process. It’s built atop six core engines that coordinate all aspects to creating a dynamic and flexible subscription business: One for handling all the needed changes to pricing; another for handling payments at a global scale; a third for capturing orders, a fourth for the accounting. A fifth is a rating engine creates monetization opportunities from any customer interaction. The sixth tracks metrics like recurring revenue, customer retention and churn. Every time a company using the older tools seeks to make a change for a business — a timely tweak in the price of diapers say — it requires downstream changes in dozens of other systems that are impacted. It might take so long to make all the changes that the opportunity may be lost to a competitor. The end result: The old tools can't adapt fast enough, he said. Generally speaking the opportunity could be huge. Zuora tracks the results of companies who move to subscriptions and found they grow about eight times faster than the S&P 500, with the growth even faster among those with revenue north of $100 million. But the biggest challenge facing large companies now, according to a Fortune survey is their brittle, aging IT infrastructure, and its especially acute among companies who jumped onto the ERP bandwagon early. Tzuo calls Zuora Central the world's first "subscription order-to-cash system" and says it's designed to integrate with those older apps so that pricing tweak can be made in one place, and then all the other necessary adjustments — that hidden choreography I imagined above — are made throughout the system. It makes the business more flexible and responsive to the needs of customers overall, and allows for the kinds of market tests and experiments that companies so badly want to do as they try to respond to finicky, fast-moving markets. A key opportunity for Zuora lies in the growing business for Internet-of-Things applications. As companies place sensors and other data-gathering and tracking instruments throughout their infrastructure, data centers and factory floors, massive troves of useful data are being created, which in turn creates the impetus for new services surrounding the use of that data, which are easily consumed as — you guessed it — subscriptions. "IoT is exploding. Companies have invested a lot in sensors in cars and equipment inside of buildings," he said. "We see them when it's time to monetize. When they see the potential for new revenue streams, that's when they come to us." Privately held Zuora has been in business for about nine years and boasts customers like Box, The Financial Times, GoPro and Schneider Electric. It's raised more than $240 million in venture capital and private equity funding from investors including Benchmark Capital, Index Ventures, Wellington Management and Blackrock. And he's serious about upending the presence of legacy ERP software in large businesses. "How you can resist the challenge?" he said. "We're going to ride this shift in business models. We won't be going at them head-on. We're just going to be the company who provides the broadest, deepest set of solutions for these new kinds of businesses." Correction: In an earlier version of this column I misstated some aspects of Amazon's diaper subscription service, that have since been corrected. Sorry about that.